The Mountainsmith Morrison 2 Person 3 Season Tent offers comfortable sleeping space for your short or long camping trips. The breathable PU-coated polyester fly material provides reliable 3 season weather protection. The aluminum V-stakes easily penetrate in hard grounds and well sewn taped seams helps the tent to self-stand in all weather conditions. Its reflective guy lines with tension lock cord adjustment increase stability and performance in stormy weathers. 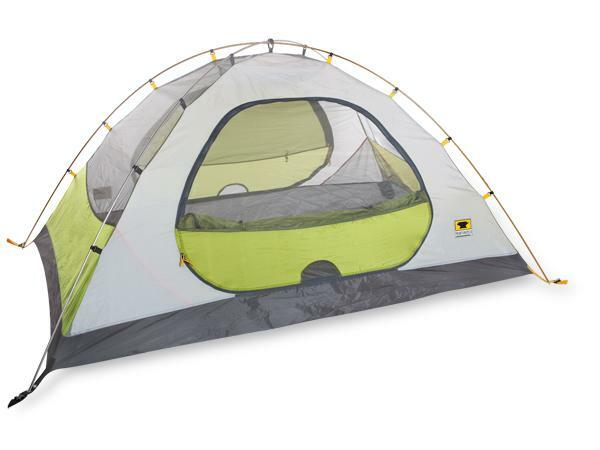 The tent features color coded footprints, stake loops, poles and fly clips for easy setup. It features a robust 35 sq. ft. of interior usable space can comfortably sleep two adults. The intuitive set-up, dual doors and dual vestibules allow you to enter and exit without disturbing your tent mate. Ceiling loft pocket and mesh storage pockets keep gears organized and close to hand. No-see-um mesh and walls with fly ventilation windows panels keeps uninvited bugs out. The tent can easily be split into two parts to share the carrying load. However, the major concern was that the tent needed more stakes. The 6 stakes that accompany the tent are enough to stake all four corners and the two guy lines, but leaves nothing for your rain fly. However, the major concern was that the tent needed more stakes. The 6 stakes that accompany the tent are enough to stake all four corners and the two guy lines, but leaves nothing for your rain fly. Or vice-versa, stake your rain fly and leave nothing for your guy lines. The other concern was the aluminum stakes has a tendency to bend in hard ground and you'll be looking for replacements sooner rather than later. Also, some campers felt that the tent cannot fit 2 big built adults. Overall, The Mountainsmith Morrison 2 Person 3 Season Tent is highly recommended as a great entry level tent for its lightweight, well-constructed looks, attractive color and durability. It would be hard to find a tent with same kind of features for such a great price. 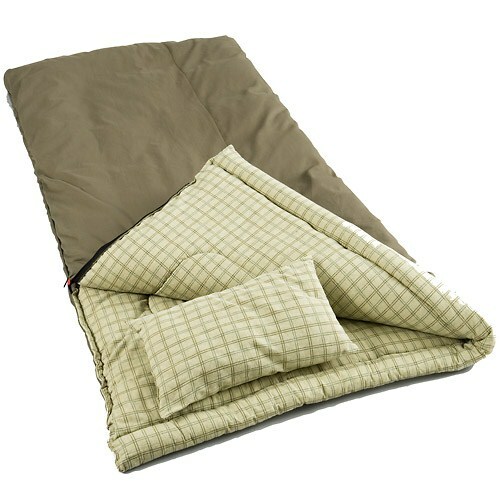 It is an ideal companion for any short or long camping trips. The Coleman 6-person Tent can be set up or taken down in under one minute and is an ideal portable shelter that requires only 1 adult to set up. This tent requires no extensive assembly due to its one-piece design as the poles are pre-attached to the tent, doing away with assembly time and any risk of losing the parts. Simply unfold the tent, spread out the fabric, extend the poles, click, and lock, and your tent is ready. It features a spacious floor space for two queen-sized air mattresses and the six-foot center height allows most campers to stand fully upright. It is made of sturdy weather resistant polyester fabric combined with anti-wicking thread, webbing, and zippers that are designed to keep you dry. In addition, it also features fully-taped leak free seams, the rainfly covers doors and windows, and incorporates easy-to-use Velcro frame attachments. Moreover, the zipper cuffs add protection from the elements to the door and the inverted floor seams increase weather resistance by hiding needle holes inside the tent. 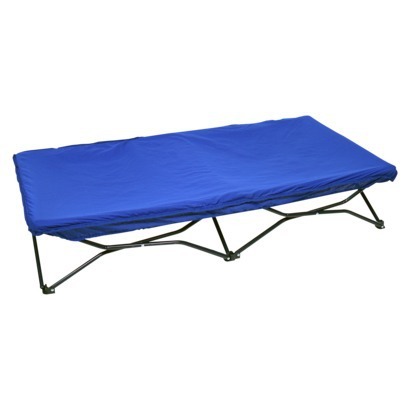 The waterproof floors strengthen the tent floor and eliminate needle holes. The tent is fully taped, so there is no need for separate rain fly. However, many reviewers have pointed out that it works great in good weather, but do not expect to stay dry if there is more than a drizzle and consider getting a rainfly accessory. It can get cramped for six people with gear but it is roomy and comfortable enough for up to four people with their camping equipment. 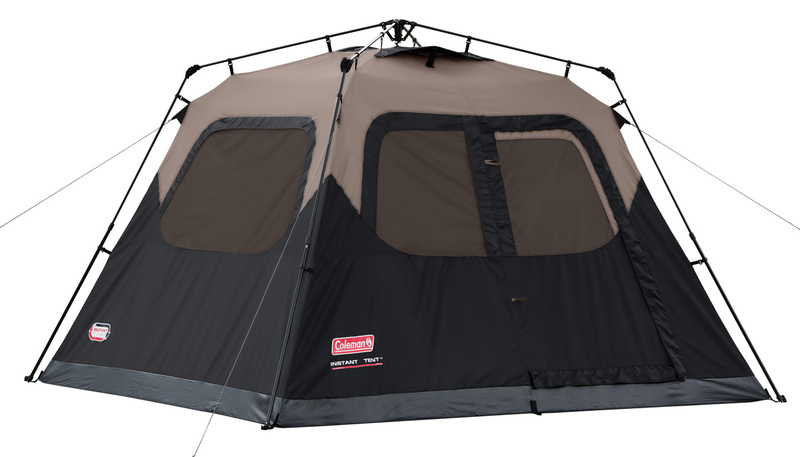 The bottom line is that the Coleman instant 10' x 9' tent is a great tent for your outdoor camping adventures that performs pretty well in a variety of conditions. 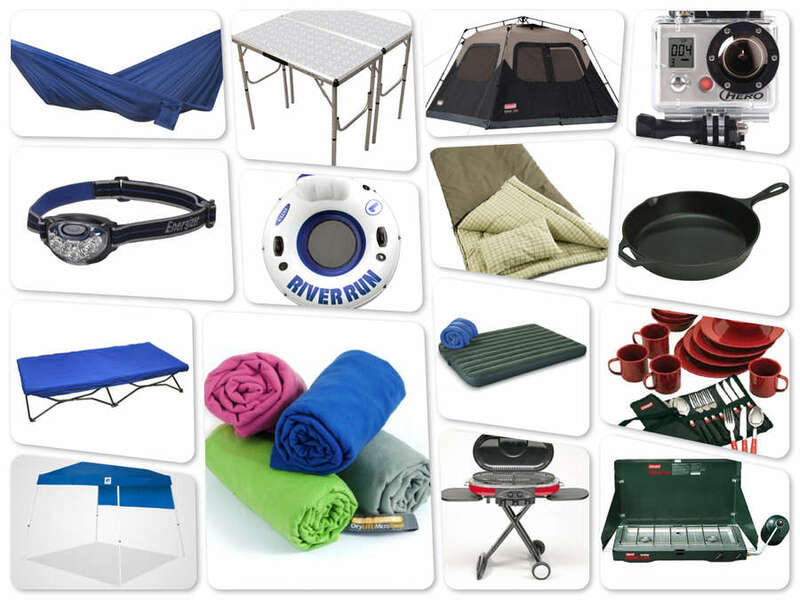 It is ideal for weekend campers, extended camping trips or any impromptu plans. Coleman Speckled Enamelware Dining Kit is an ideal set for camping, picnicking, or even backyard parties with friends and neighbors. This speckled dinnerware set is a practical product and includes everything you need to eat a meal in outdoors. It is easy to clean and saves you from pulling the plates and bowls from the kitchen. The Coleman 24-piece dinnerware set serves 4 people at a time. The set has four 10-inch dinner plates, four 10-ounce mugs, and four 6-inch bowls. In addition, the set comes with four knives, four spoons, and four forks, so you can save money and environment by not using plastic silverware when eating. The silverware also includes a compact carrying case to keep the cutlery bunched together. The plates, bowls and mugs are made of double-fired, red speckled enamel for durability and crack resistance. Coleman Speckled Enamelware Dining Kit is an ideal set for camping, picnicking, or even backyard parties with friends and neighbors. This speckled dinnerware set is a practical product and includes everything you need to eat a meal in outdoors. It is easy to clean and saves you from pulling the plates and bowls from the kitchen. The Coleman 24-piece dinnerware set serves 4 people at a time. The set has four 10-inch dinner plates, four 10-ounce mugs, and four 6-inch bowls. In addition, the set comes with four knives, four spoons, and four forks, so you can save money and environment by not using plastic silverware when eating. The silverware also includes a compact carrying case to keep the cutlery bunched together. The plates, bowls and mugs are made of double-fired, red speckled enamel for durability and crack resistance. The spoons, forks and knives are made from stainless steel. . This Coleman enamel flatware set is dishwasher safe to make maintenance easy. Many reviewers complain that packing of this set is poor and cups and plates are chipped right out of the box. Also, the enamel does not seem to be very durable as it chips off after using for a few times. 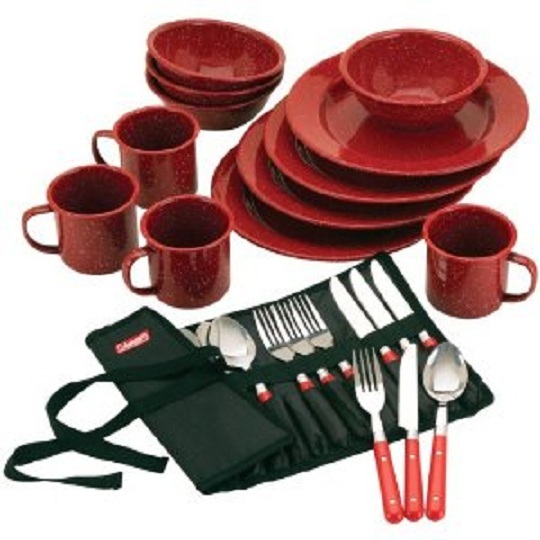 Users would love to see a carry case for the dinnerware set for easy packing and carrying to the camping trips. Overall, Coleman Speckled Enamelware Dining Kit is good set for adventurous, outdoorsy and camping loving families. It provides a good value for the money and makes those dinners under the stars more fun. The Grand Trunk Ultra Light Hammock is great for the backyard, picnics, hiking and backpacking. It is easy to set up and carry. It packs down to a very small size into its own side pocket that can also be used to hold drinks and other things when using the hammock. This hammock is rot and mildew resistant and dries very quickly. It is well built and attractive in looks. Some reviewers do not like the fact it does not come with tree straps. Overall, Grand Trunk Ultra Light Hammock is an inexpensive, light weight and sturdy hammock and can make a great addition to home patio or to a camping trip. Discover the ease and comfort of hammock life and as they say "It beats the ground." The Grand Trunk Ultra Light Hammock comes in different colors and styles. When you’re ready to grill, push a button to ignite the InstaStart™ matchless lighting system. It also has tool holders and side tables built in for ease of use. You can cook for your family and friends for more than an hour on one propane cylinder with 20,000 BTUs of power on large 285 sq. in. of cooking surface. 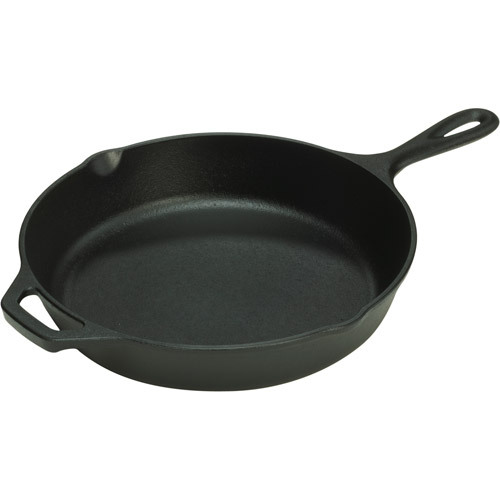 It has versatile mix and match cooking surfaces and can be used as grill, griddle or stove. When you’re ready to leave, it folds down small enough to fit in the back of most car trunks. Users report that it gets very hot and they have to learn and adjust the cooking time and their cooking style so that the food does not get burnt. The grease trap can get messy if not cleaned regularly. It is heavy and not suitable for hiking trip. 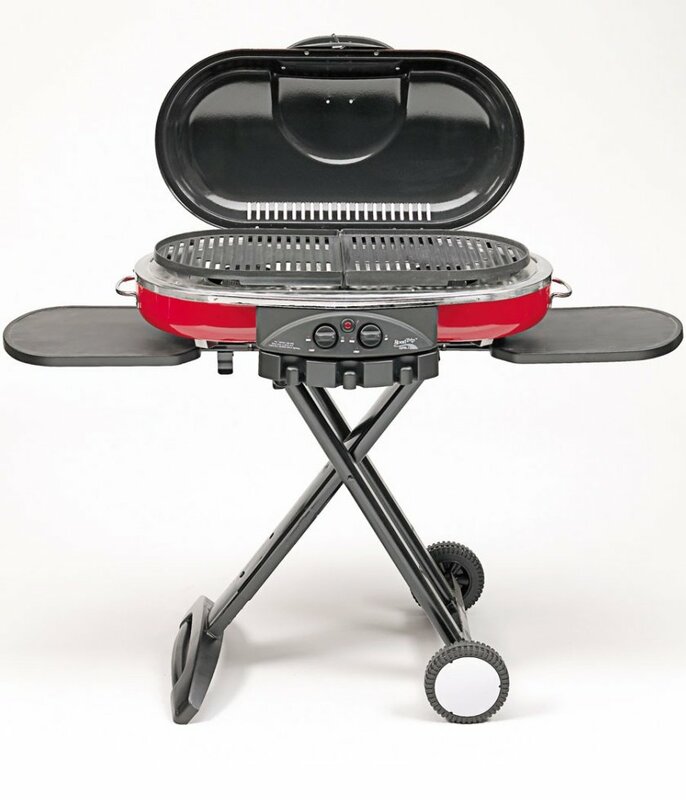 Coleman Roadtrip LXE Propane Grill is perfect for BBQs, picnics, tailgating, camping or a night on the patio. The overall quality of this grill and the convenience of it justify its price. The grill just looks sharp and makes you look pro! The 5.11 Rush 72 Backpack is designed as a 3 day pack or bug out bag. 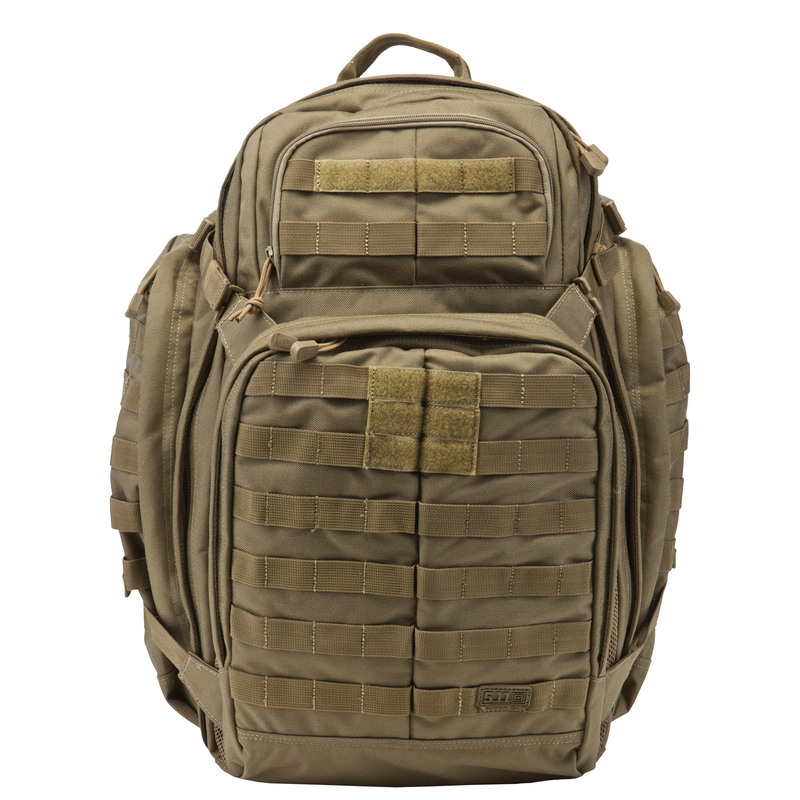 With dimensions of 23 H x 15 W x 8 D, this backpack offers abundant storage space for life sustaining tactical gear. It features flexible main storage compartments, internal dividers, and a MOLLE web platform on front and side of backpack. It also has two Velcro sections on the front for name tapes and flags. This bag has plenty of storage and pockets. Every compartment has a solution to organize and maintain your stuff. The mesh zippered pockets make it easier to find your stuff when you need it. The pack also has a zippered hydration compartment on the back and a drain hole for excess water. The shoulder straps are very durable, padded, and have a sternum strap for extra support. There is a top grab handle for carrying with one hand. The bag features a single and doubled-back edge stitching and bar tacks at stress points. The backpack is very easy to load and carry. It collapses easily and nicely when not in use. This backpack may be a bit large for everyday use. It is also heavy when compared to some other bags of same size. Rush backpack is expensive but worth the price. The 5.11 Rush 72 Backpack has a lot of thought and effort behind the design. It is rugged and durable and comes in four different colors to match your style. 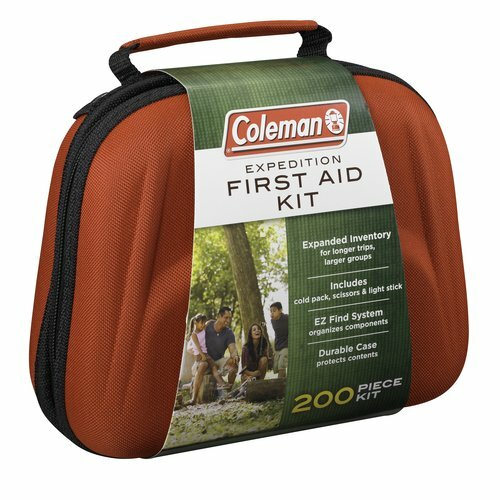 Coleman Pack-Away 4-In-1 Table is ideal for camping, tailgating, buffet service, BBQs and more as it offers plenty of options in one versatile package. Push the two rectangular tables together for the perfect place to grab dinner at the campsite. Line them up end-to-end for a backyard BBQ buffet. Adjust one of the tables' legs for a bi-level serving station at the tailgate party. Or bring both down for two coffee tables when you're lounging outside. The tables easily adjust to one of three heights, and even include adjustment knobs at the bottoms to prevent the tables from wobbling. When the fun is done, the entire lightweight, aluminum setup locks together for easy, compact, one-handed carrying. Some reviewers find this table not suitable to store heated pans or stoves. It also takes times to screw the leg extensions into each leg every time you use it. Some users found these leg extensions to be a bit flimsy, particularly at the tall height. 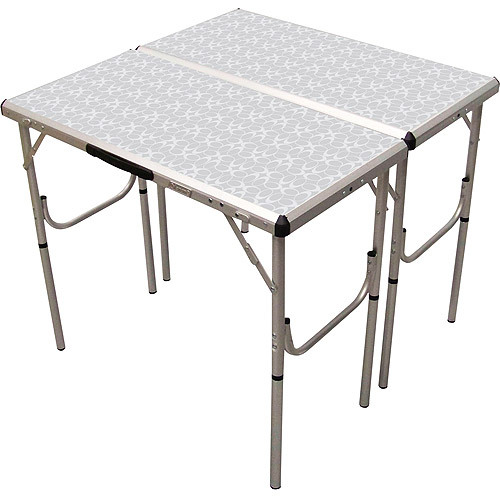 Overall, Coleman Pack-Away 4-In-1 Table is a great indoor and outdoor table with good aluminum finish and sturdy construction to handle those camping trips very well. 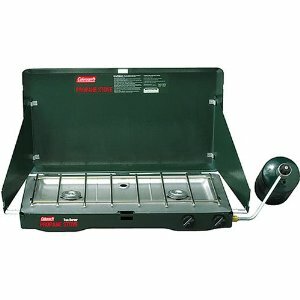 Coleman® PerfectFlow™ 2-Burner Stove is a perfect stove for camping and outdoor trips. You can cook breakfast, lunch and dinner on a stove that is easy to setup and use and also folds up easily. The large cooking surface gives you space to prepare different dishes. Once this propane-powered camp cooker starts to heat up, PerfectHeat™ Technology gets the temperatures just right and WindBlock™ Shields keep the wind from blowing the flames around. This stove offers 20,000 BTUs in two high-performance burners that adjust individually from simmer to full boil, for perfect outdoor cooking. When you’re done, the removable rust-resistant, aluminum-steel cook top makes cleaning quick and easy. Many reviewers find the heat adjustment knobs to be very sensitive and stove may turn off or flames may go up when knob is turned for simmer temperature. Coleman PerfectFlow 2-Burner Stove is convenient, reliable and is a trustworthy choice for camping, backpacking, and other outdoor cooking opportunities. Many reviewers complain about the support strap in the middle of the cot. The Energizer 7-LED headlight helps you navigate great outdoors in the night times or lets you work in low light or pitch dark using your both hands. It features six white LEDs and one red LED that together create four different light modes. 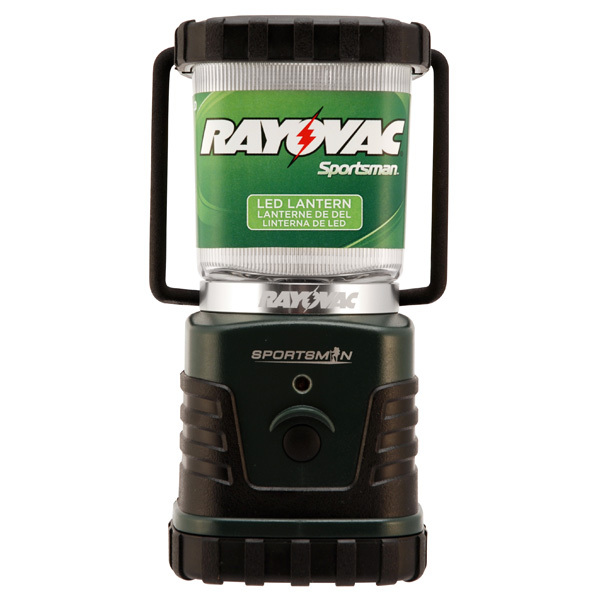 You can access the white light in the form of area, spot, or flood light or can turn on the red night vision with the push button switch. The headlight's water-resistant construction and flexible headband with comfort cushioning make it easy to wear for long stretches of time in tough conditions. The Energizer 7-LED headlight pivots up to 90 degrees to aim light where you need it. The headlight is powered by three AAA batteries and has a run time of up to 14 hours on the maximum setting. A few users find this headlight to be a little heavy. Also the foam which touches the forehead wears off after some time and may start rubbing against the skin. Overall, The Energizer 7-LED headlight is a great product for the outdoor enthusiast. 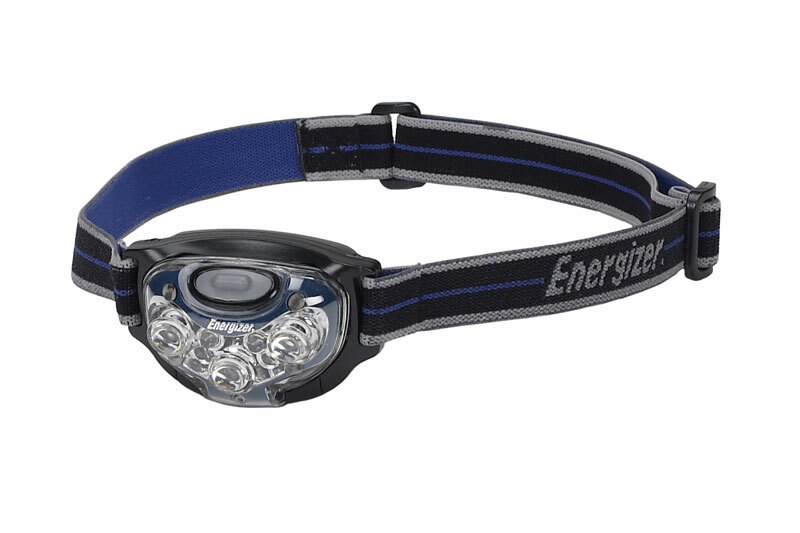 Overall, The Energizer 7-LED headlight is a great product for the outdoor enthusiast. 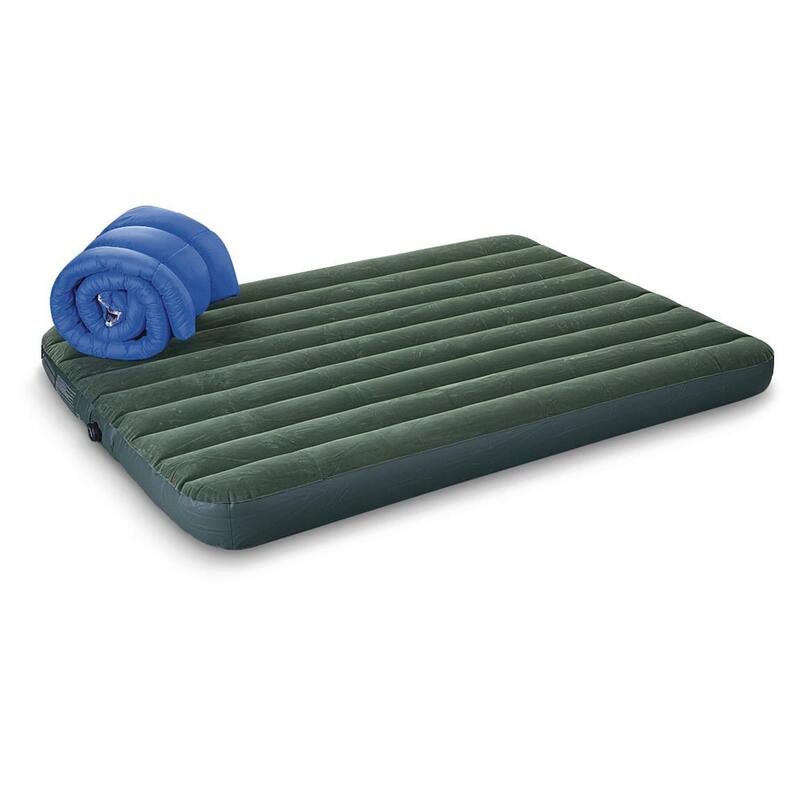 It is rugged and strong while staying lightweight and comfortable to use. Wherever you go, this lighting product is ready to go with you. 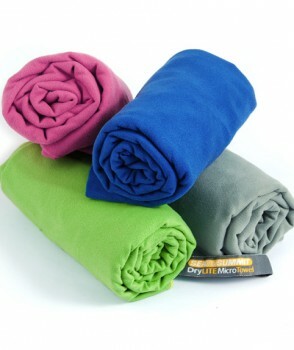 Overall, Sea to Summit DryLite towels are ideal for backpacking, travel, boating or camping. 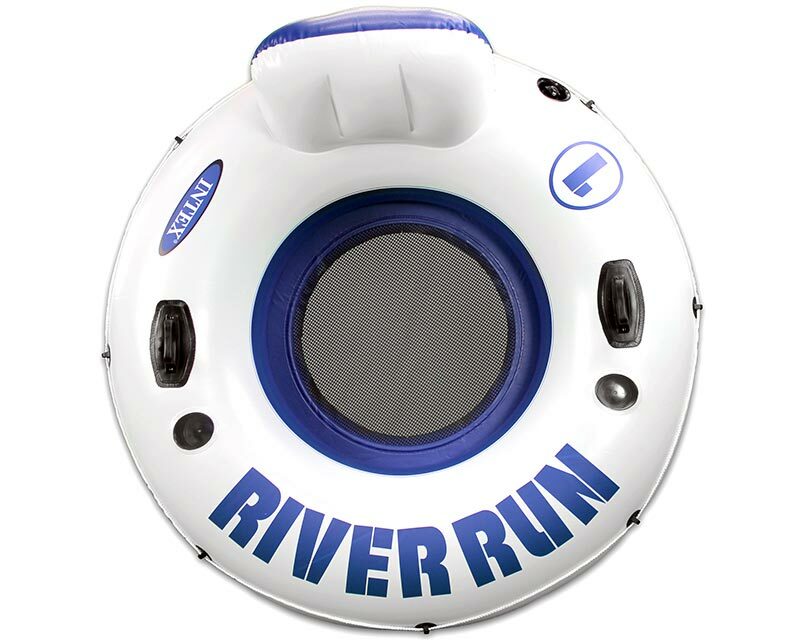 Intex River Run I Inflatable Tube is perfect tube for relaxing tubing run down the river or an adventurous trip in the rapids or just to chill in a lake. It is designed for fun, high-performance, durability and comfort. It has a built-in back rest, grip handles and cup holder for a comfortable ride. Two heavy duty handles and an all-around grab rope make it easy to both carry this Intex River Run tube when not in use and hold on tight when riding it. Users also like the mesh bottom as it keeps them cool. 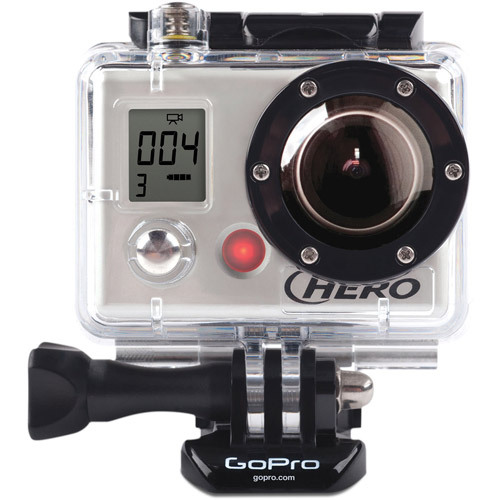 It is easy to inflate and also features a quick-release valve that deflates the tube in less than 60 seconds. This is a big tube with 53” diameter. Some reviewers complain that the tube loses air in some case. It is also hard to steer this tube without any paddles because of its big size. Overall, Intex River Run I Inflatable Tube is a comfortable, spacious and durable floating device for the fun outdoor trips and camping trips on the lakes. Some users complain that this camera does not work most of the times. E-Z UP Sierra II Canopy provides shade in the quick-up and down canopy that is lightweight and easy to port for on-the-go comfort. These canopies are good quality, low priced and can be used while camping, at the beach, tailgating or while having a barbeque. 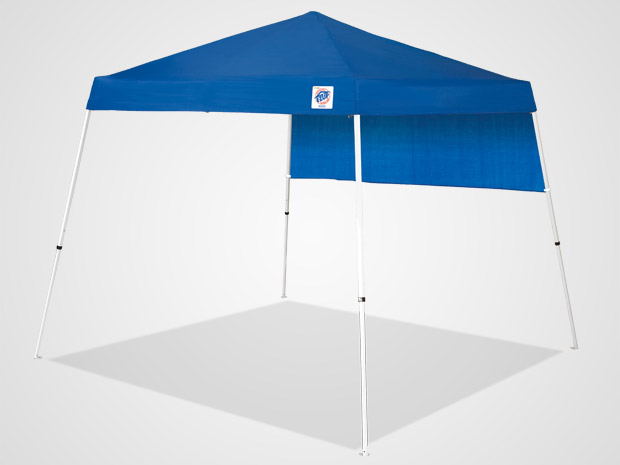 This canopy is easy to put up and is durable. It folds well and fits easily into little trunk. Some users complain that they are bit longer when they are folded and can use better stakes for the proper holding to the sandy surfaces. Also, the size indicated by the company is not the size of the top shade. it is the size of the legs which taper up and thus covered area is less than being indicated by company. Overall, E-Z UP Sierra II Canopy is a good product and is recommended by many users for its ease of use. The lantern comes with two hanging features. The handle can be used to hang the lantern as is wherever you need it. 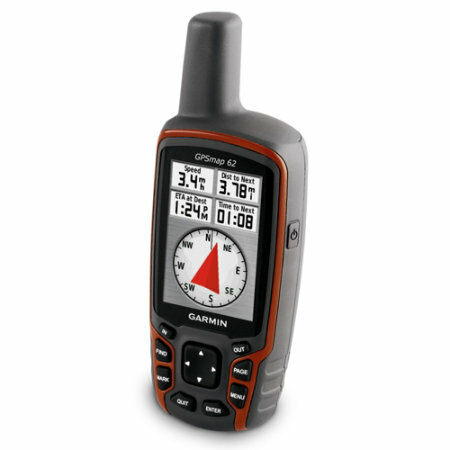 Garmin GPSMAP 62 is a sleek, rugged and waterproof handheld GPS navigator for the outdoor adventurers. It features a quad helix antenna for unparalleled reception and maintains its GPS location even in heavy cover and deep canyons. A 2.6" sunlight-readable 65K color screen supports BirdsEye Satellite imagery (with subscription) and Custom Maps. GPSMAP 62 comes with built-in worldwide basemap with shaded relief, so you can navigate anywhere with ease. With photo navigation, you can download geotagged pictures from the Internet and navigate to them. With 1.7 GB of onboard memory, you can conveniently download 24K and 100K TOPO maps and hit the trail or City Navigator NT® map data for turn-by-turn routing on roads. Keeper 07203 Waterproof Roof Top Cargo Bag is the perfect solution to cover and secure your belongings during long road trips in any weather. It offers 15 cubic feet of completely waterproof cargo space on roof top of car. This heavy duty and strong cargo bag comes with four buckle straps for easy loading and adjustment. The zipper circles the bag horizontally on three sides and has a thick Velcro flap, thus protecting the entire luggage inside. The cargo bag folds up nicely for easy storage. It is priced well and offers a good value for money. Some users say that they need to buy extra straps to secure it properly. 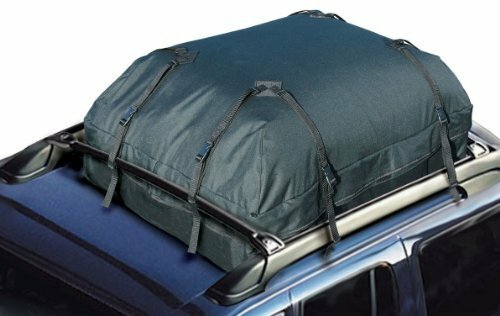 It is meant to be used for cars with 4 rails on top but some users use this cargo bag without roof rack too. 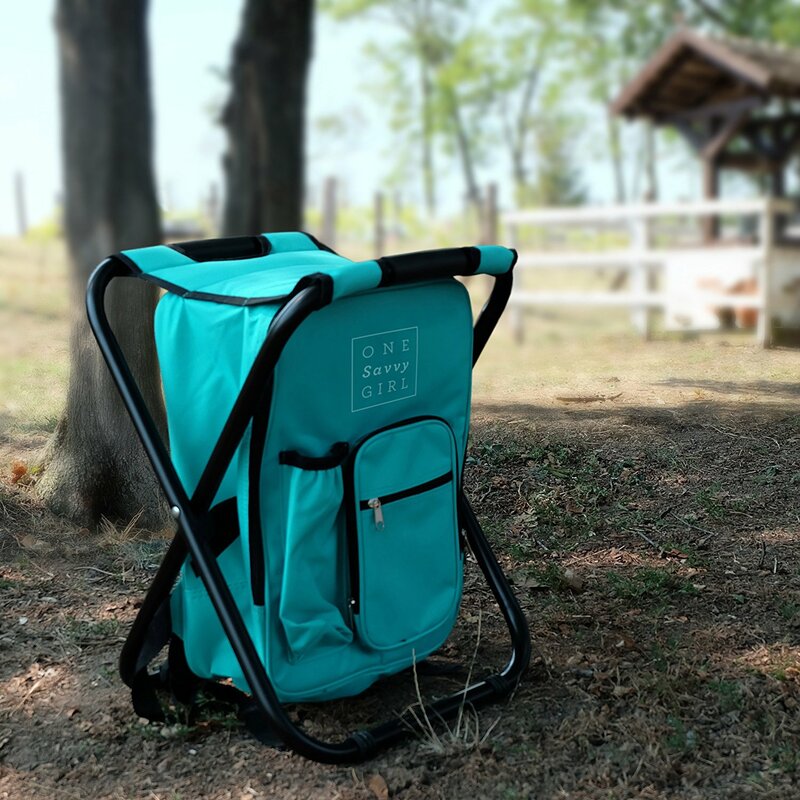 Overall, this roof top cargo bag from Keeper is a heavy duty and weather resistant product with soft sides that flex to fit odd shaped luggage on the roof top of car during road trips.